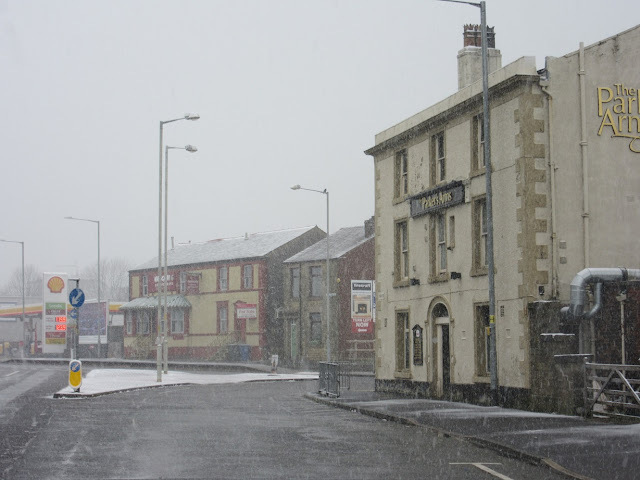 The Queen's Tavern is a distinctive building standing on the main road into Chorley from the north and is opposite the Parker's Arms Hotel. 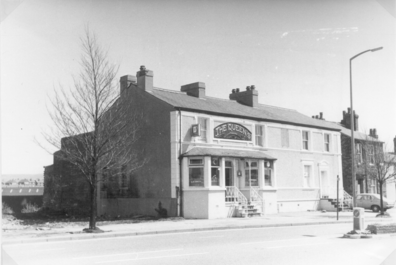 It is pictured above in 1978 when it was still a tavern but is no longer open for business today. Following closure it was reopened as a Chinese Restaurant for a while but that has now closed too and its future remains uncertain. 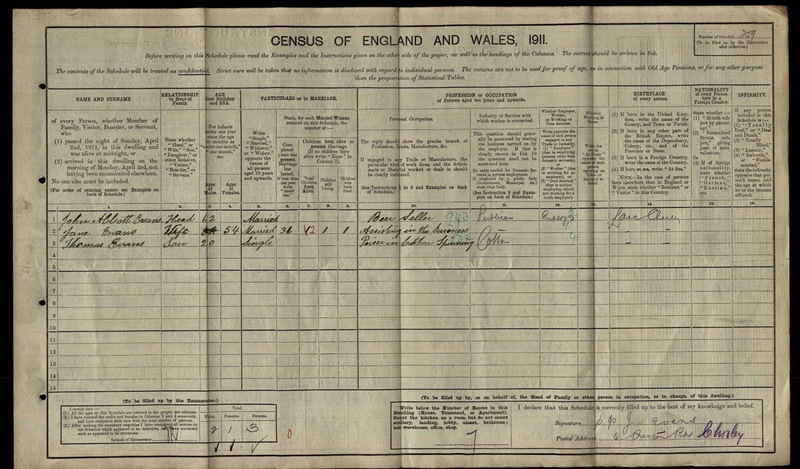 Listed landlords were John Higginson (1841-51), Henry Kellett (1871-91), William Sharratt (1901), John Abbott Evans (1911), Arthur G Piggott (1936) and Elaine Shirley Urcelay (1982). John Higginson's daughter Mary married Henry Kellett and after John died Henry and Mary carried on the business. 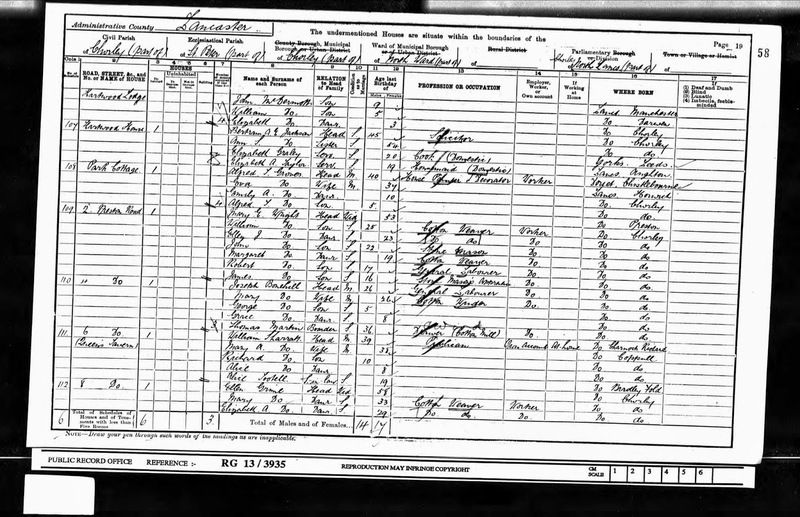 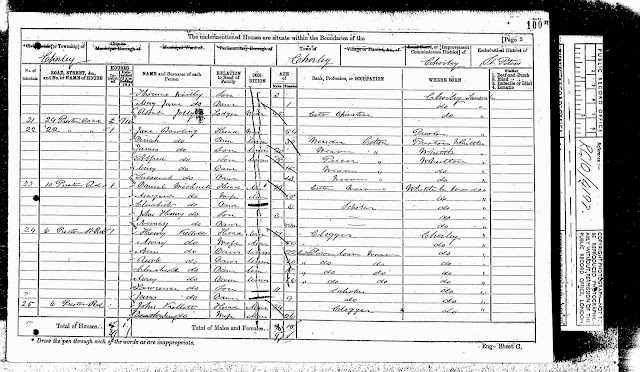 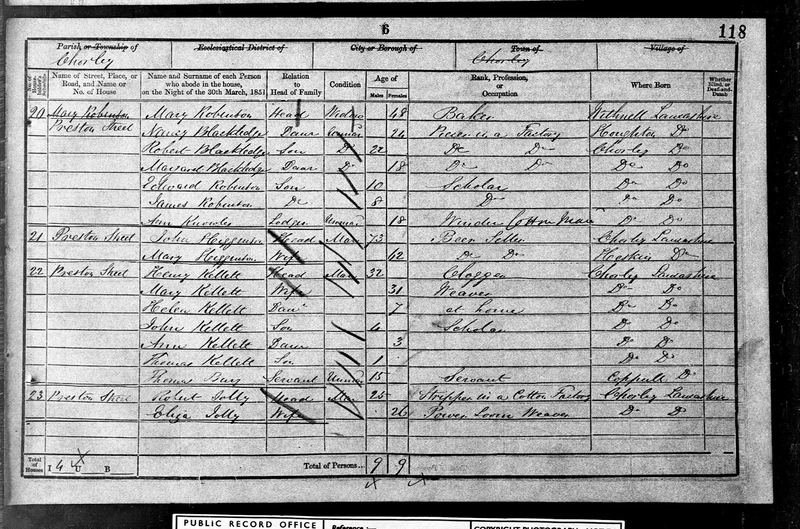 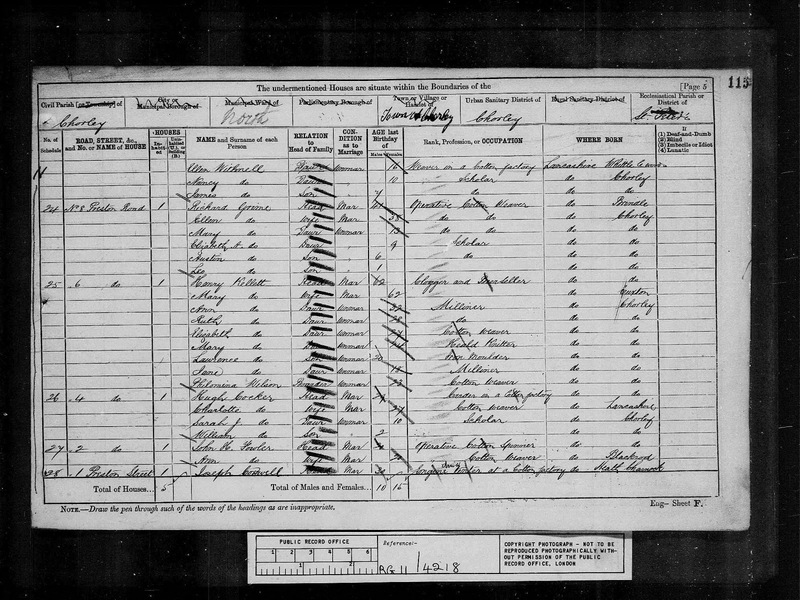 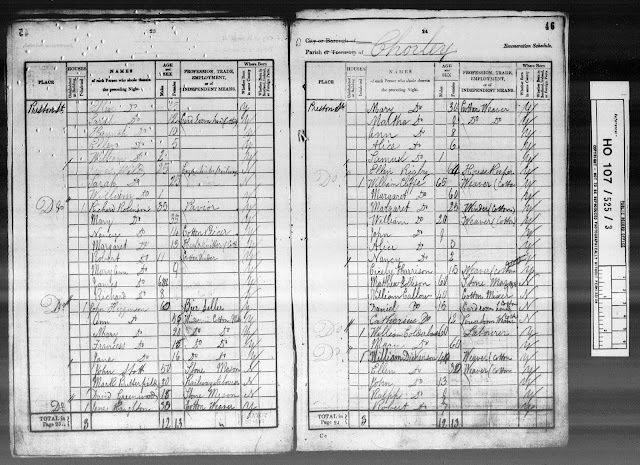 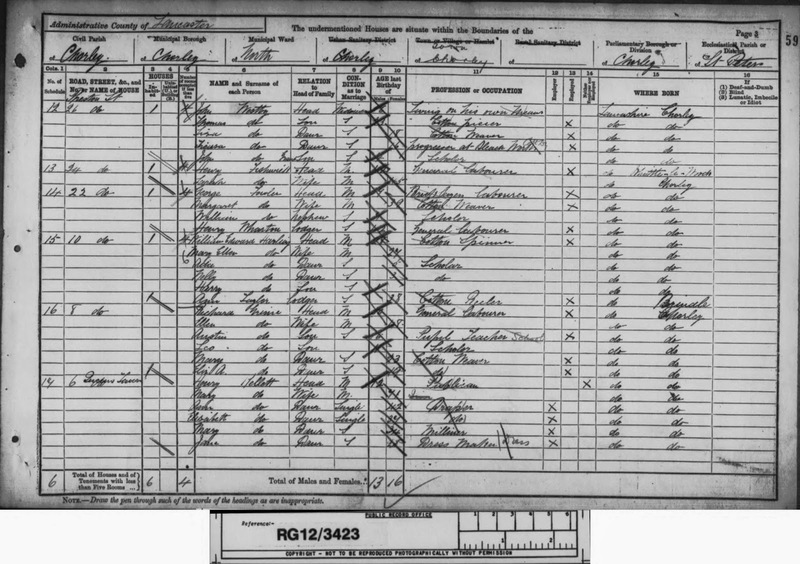 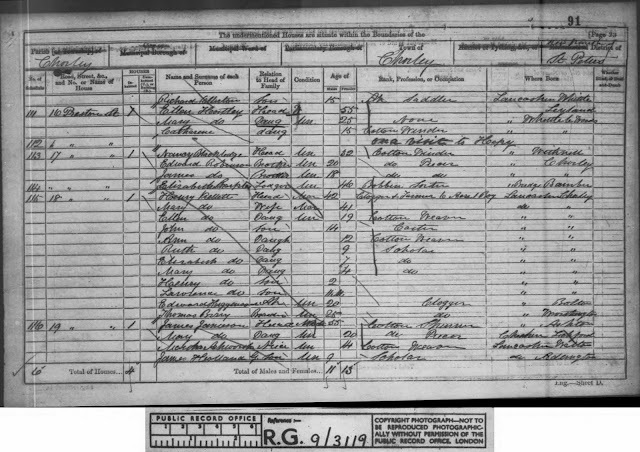 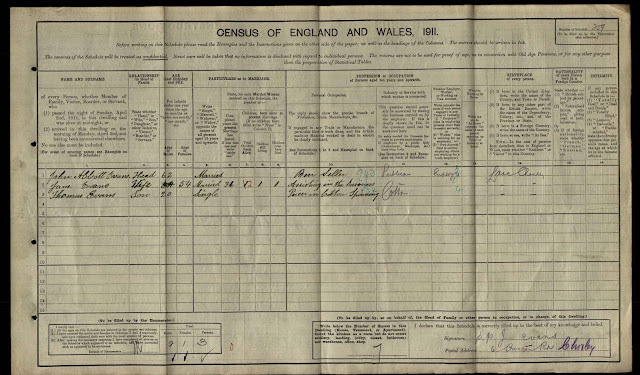 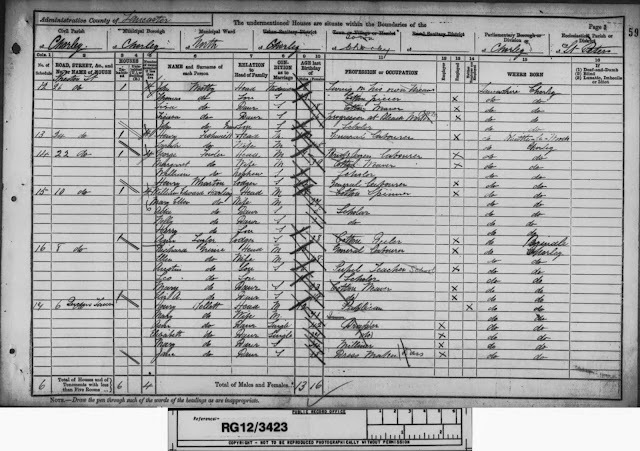 Henry Kellett was living at the Queen's Tavern in the 1861 and 1871 census but is not listed as a beer seller or licensee, rather his original trade as a clogger and also farmer in 1861. 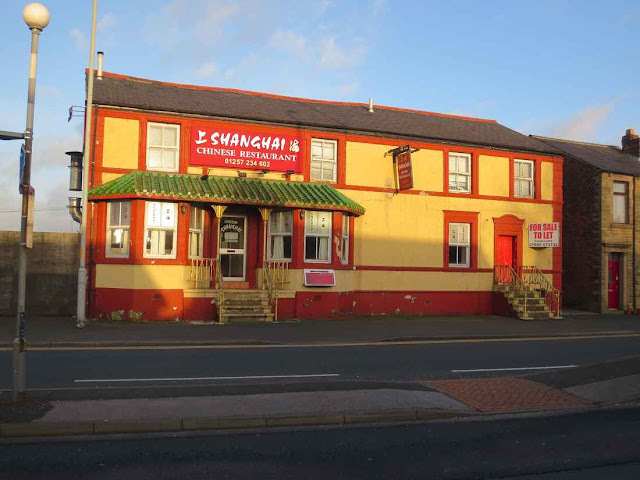 Whether or not it was operating as a tavern during this period remains unclear. At some point in the 1870-1880's the pub was acquired by the Plough Brewery (later known as John Mercer's) in Adlington.